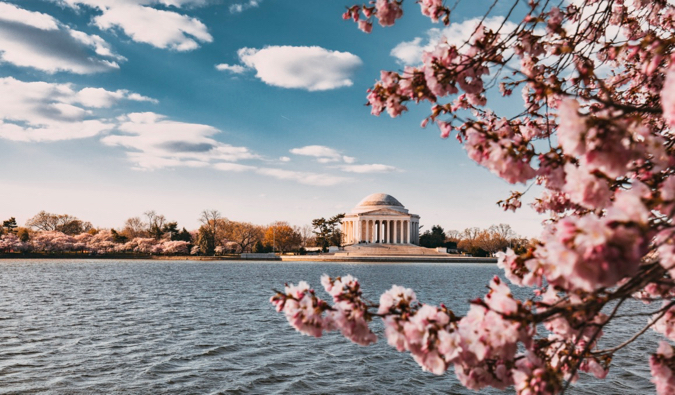 25+ Free Things to Do in Washington, D.C.
Washington D.C. is a place I’ve been to many times throughout the years. 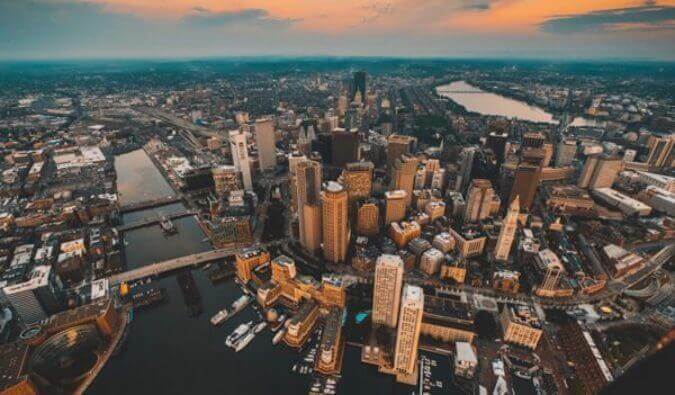 I love the city: there are people from all over the world, there’s a ton of things to see an do, incredible bars, natural attractions, diversity, and world-class restaurants. Yet there’s one really big downside to the city: cost. Washington D.C. is not a cheap city. With all those free-spending politicians, lobbyists, and diplomats floating around the city driving up prices, costs here are pretty high. Meals, hotels, transportation, parking—they all add up to a lot of money. 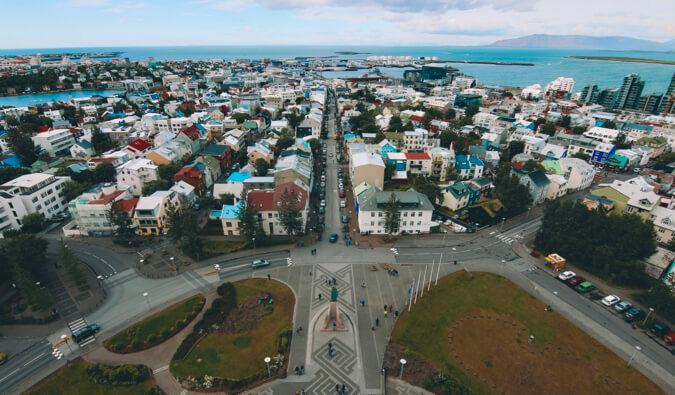 Luckily, there are many great free things to do in the city for the budget traveler. 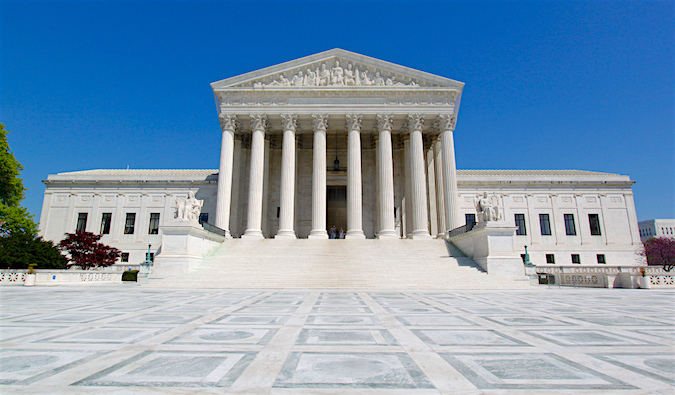 Thanks to all the national monuments, parks, and festivals in the city, you can find a lot of free things to do in Washington D.C.
1 First St NE, supremecourt.gov/visiting. Open Monday-Friday from 9am-4:30pm. To sit in on a lecture, check the court’s calendar. Lectures take place several times throughout the day. Just show up and stand in line. This building is where the U.S. Congress meets to….well, they are supposed to do something but lately, it feels like they don’t really do anything but complain! The Capitol offers free tours throughout the day. Tickets are available at 8:30 am on a first come, first served basis. Get there early as the tickets are usually gone very quickly. You can also book your tour in advance through your local senator or member of Congress. Tickets to sit in the galley and watch Congress in session are also available for free, on a first come, first served basis. East Capitol St NE & First St SE, visitthecapitol.gov. Open Monday-Friday from 8:30am-4:30pm. Tours take place Mon-Fri (8:40am-3:20pm). Advance reservation is recommended but not required. +1 202-633-1000, si.edu. Each museum has their own operating hours so be sure to check with that musuem. Belmont-Paul Women’s Equality National Monument – This building was home to the National Women’s Party for almost 90 years and was designated a national monument in 2016 by President Barack Obama. The building highlights the history and achievements of the suffrage movement, and is named after the former party president Alva Belmont, as well as the founder, Alice Paul. Constitution Gardens – 50 acres of landscaped gardens commemorate the framers of the Constitution and provide a beautiful place to sit and relax, especially during the summer when everything is in full bloom. Tree-lined paths meander around a tranquil lake and through the gardens, where you will see oak, maple, elm, and more. Ford’s Theatre National Historic Site – On April 14, 1865, President Abraham Lincoln was shot at Ford’s Theatre during a theatrical performance. His killer was John Wilkes Booth, a popular young actor and supremacist. Lincoln was carried across Tenth Street to the Petersen boarding house where he died the next morning. The Theatre commemorates Lincoln’s legacy with a museum and special exhibits detailing his presidency and the aftermath of his death. And it’s still a working theater! Franklin Delano Roosevelt Memorial – This is a beautiful memorial which takes you through Roosevelt’s four terms in office using quotes carved in stone and beautiful bronze artwork. It’s one of my favorite memorials in the city and features a beautiful Japanese Garden as well as calming waterfalls. Korean War Veterans Memorial – The most popular memorial on the Mall, the Wall of Remembrance has 19 statues commemorating the millions who fought during the Korean War. The statues stand in Juniper bushes and are separated by strips meant to resemble Korea’s rice paddies. There’s a calm, reflective pool at the end surrounding a Freedom Is Not Free Wall and Alcove. It’s hauntingly beautiful and sad all at once. 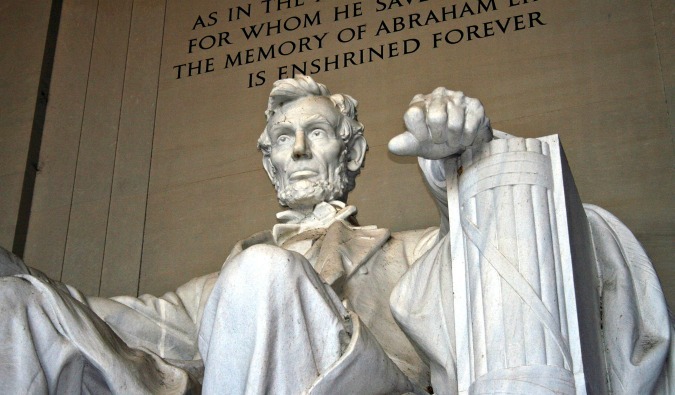 The Lincoln Memorial – This is home to the famous, giant statue of Abraham Lincoln. It’s one of the best…so good, I have an entire section about it below! Martin Luther King, Jr. Memorial – A giant carving of Dr. King honors his legacy and quest for freedom, equality, and justice. This is one of the newer monuments, having opened in just 2011, and is the first to honor a man of color. Quotations from his famous “I Have a Dream” speech are etched into the stone, and there is also an Inscription Wall with 14 quotes from his speeches and writings. Thomas Jefferson Memorial – This memorial to Thomas Jefferson is located inside a circular colonnade, opposite a lot of the main memorials and features a great view of the entire mall and the Tidal Basin. It was designed by John Russell Pope in 1925, and resembles the Pantheon of Rome (Jefferson was apparently a big fan of Neoclassical architecture). It’s an amazing place to be when the cherry blossoms are in bloom. 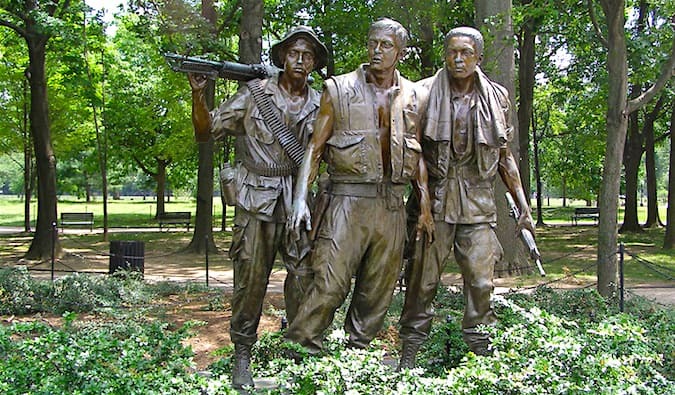 Vietnam Veterans Memorial – This memorial actually consists of three parts: the Three Soldiers statue, the Vietnam Women’s Memorial, and the Vietnam Veterans Memorial Wall (The Wall That Heals). The wall is a striking chronological list of the names of more than 58,000 Americans who served and gave their lives in Vietnam. Washington Monument – Standing at 555-feet tall, this marble obelisk at the center of the park was built to honor George Washington. It’s closed for repairs at the moment but you can enjoy looking at it as well as the green space around it, which is often filled with festivals, people, and vendors. World War II Memorial – A beautiful memorial dedicated to the 16 million people who served in the American armed forces during WWII, including the 400,000 who gave their lives. There’s a lot going on here, including two walls when you first enter the memorial (from the east) depicting scenes from the war in bronze relief. There’s also a really elegant fountain in the middle, and 56 granite columns symbolizing the nation’s unity. +1 202-426-6841, nps.gov/nama. The National Mall is open 24 hours and admission is free. Check ahead on the website to see if there is a Ranger Walk (free tour) happening during your visit. 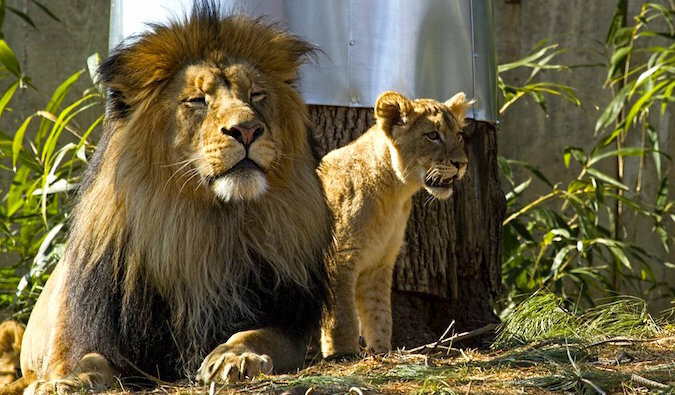 The zoo opened in 1889 and is home to over 1,800 animals spread over 160 acres of land. Lemurs, great apes, elephants, reptiles, and pandas — and many more animals — all call the zoo home. The zoo was one of the first in the world to create a scientific research program. It’s a great stop if you’re traveling with kids (or if you’re just young at heart!). As part of the Smithsonian, the zoo is also free to visit. 3001 Connecticut Ave NW, +1 202-633-4888, nationalzoo.si.edu. Open daily from 8am-7pm. This is one of the most iconic buildings in the world. It was built in 1792, though most of it was burned down by the British during the War of 1812 (before that, it wasn’t actually white!). While arranging a tour can be tedious (you need to book it weeks in advance), it’s a fun and educational experience. 1600 Pennsylvania Ave NW, whitehouse.gov/about-the-white-house/tours-events. Self-guided tours are available Tuesday-Thursday from 7:30am-11:30am and from 7:30am-1:30pm on Fridays and Saturdays. 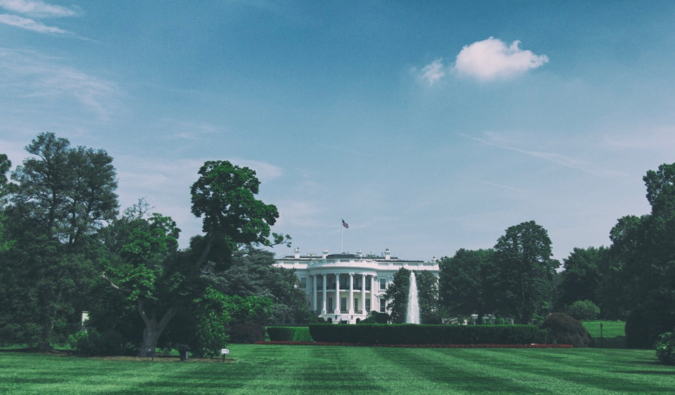 To request a tour, American citizens need to contact their member of Congress, while foreign visitors need to contact their embassy in Washington. You can submit a request for a tour up to three months in advance, but no less than 21 days in advance. If you’re an American citizen 18 years of age or older, you need to present a government-issued photo ID. Foreign nationals need to present their passport. One of the best ways to take in the city is on a free walking tour. You’ll get to see the city’s main sights, learn about the city’s history, and have an expert on hand to pepper with any questions you have. Two free walking tour companies in D.C. that I like are Free Tours by Foot and Strawberry Tours. You can’t go wrong with either. The is the largest library in the world. There are over 16 million books here and over 120 million other historical and media items. Established in 1800, over 3,000 staff help keep this place running! 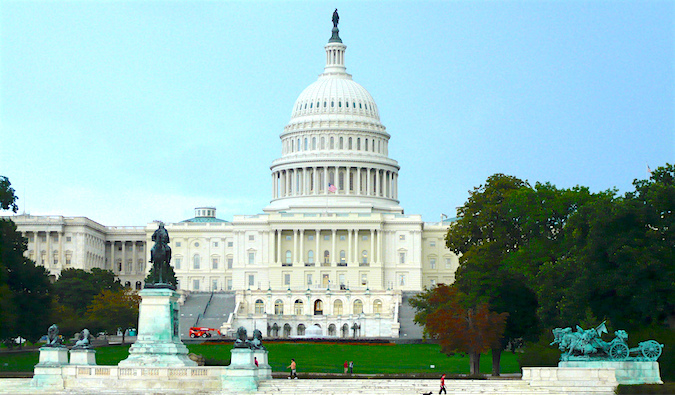 It’s the main research center of the U.S. Congress and is home to the U.S. Copyright Office. It’s the best place for bookworms in the world! 101 Independence Ave SE, +1 202-707-5000, loc.gov. The library is open Monday, Wednesday, and Thursday from 8:30am-9:30pm and Tuesday, Friday, and Saturday from 9:30am-4pm. The library is closed on Sundays. 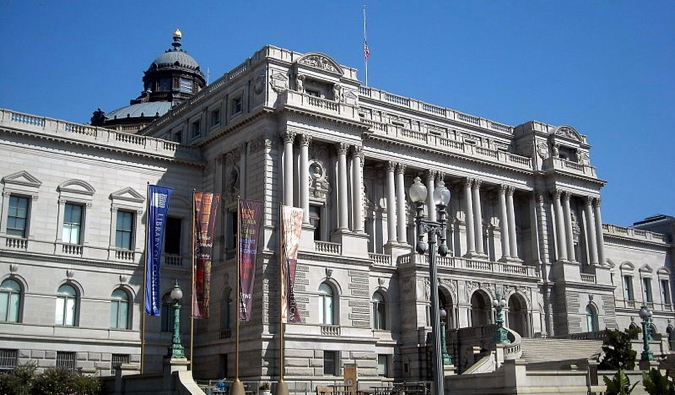 Free tours of the Thomas Jefferson Building Public take place hourly Mon-Fri (10:30am-3:30pm), and hourly on Saturdays (10:30am-2:30pm). All you have to do is show up. Check the website for any special tours happening during your visit (sometimes the Library will open the Music Division’s Whittall Pavilion for public viewing). The Lincoln Memorial deserves its own spot on this list as it’s so beautiful, and it has an amazing view of the reflection pool and the Capitol building. Honest Abe’s two most famous speeches — the second inaugural address and the Gettysburg Address — are inscribed on the walls around the memorial. 2 Lincoln Memorial Circle NW, nps.gov/linc/index.htm. Open 24/7. Check ahead on the website to see if there is a Ranger Walk (free tour) happening during your visit. There’s an incredibly large collection of artwork, from Henri Matisse to Claude Monet to Leonardo da Vinci. The East Building is home to the gallery’s more modern art, while the West Building houses older artwork. You’ll often see art students throughout the building trying to paint. Some of them are really, really good! Don’t forget to check out the sculpture garden while you’re there. In the summers, there is free Jazz in the Garden every Friday starting at 11 am. 3rd Street and 9th Street on Constitution Avenue NW, +1 202-737-4215, nga.gov/visit.html. 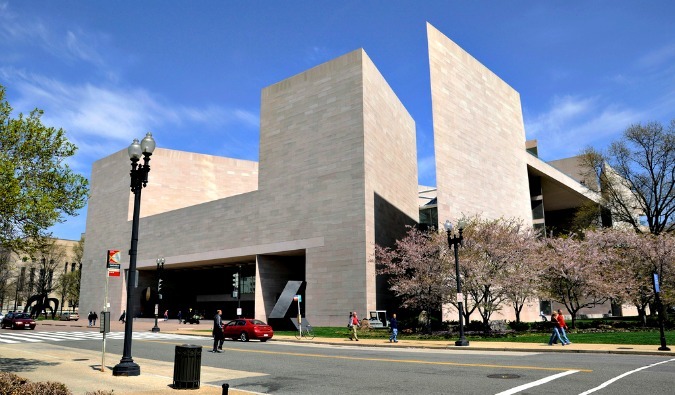 The National Gallery is open Mon-Sat (10am-5pm), and Sun (11am-6pm). There are a number of free docent-led tours of varying themes occurring daily, as well as Gallery Talks hosted by museum curators and conservators. Dates and times change frequently. Check the website to find out what’s happening during your visit.. 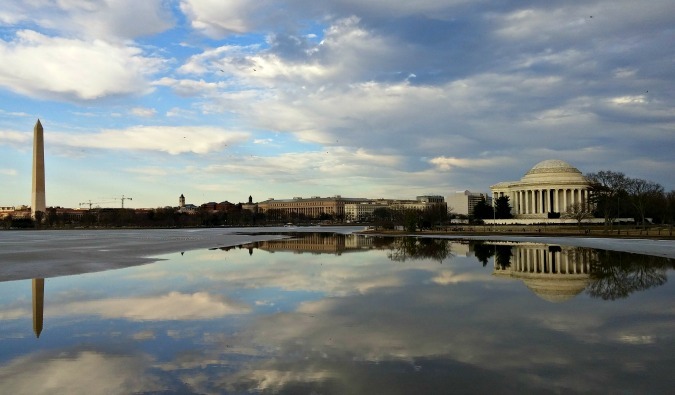 The Tidal Basin is a manmade pond stretching two miles long the mall. It also serves as a popular hangout spot for locals and visitors and is the best place to come see the cherry blossom trees each spring. In the spring and summer months, you can rent a paddle boat (around $18 per hour) and spend the afternoon relaxing on the pond. 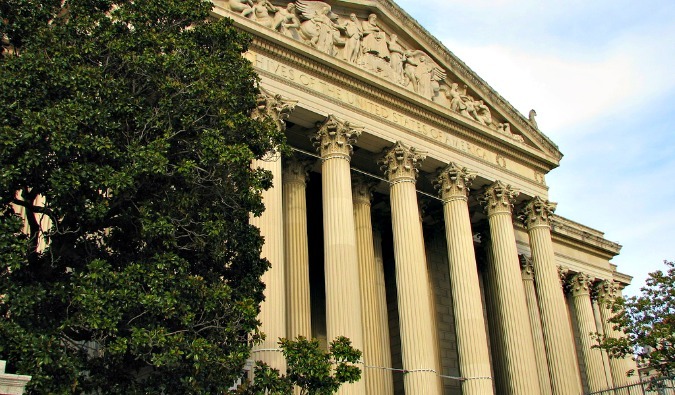 The National Archives Museum houses the Declaration of Independence, the Bill of Rights, and the Constitution, plus one of the few remaining copies of the Magna Carta left in the world. It’s a great place for history buffs and it’s filled with really informative panels. If you’re traveling with children, there are plenty of interactive exhibits inside too. 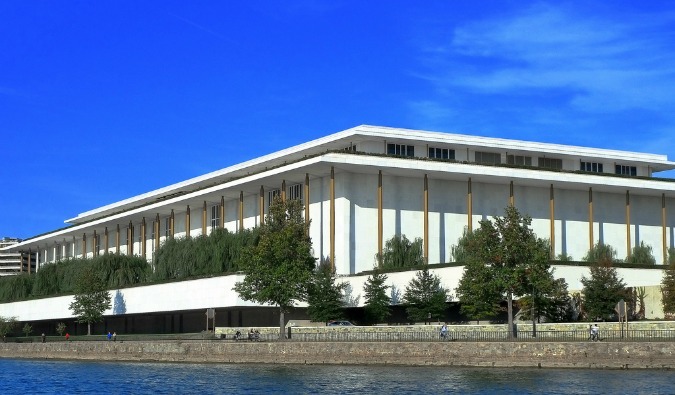 701 Constitution Avenue NW, museum.archives.gov. Open daily 10am-5:30pm. Self-guided timed entry reservations are offered every 15 minutes from 10:30am-4:00pm. There is also a docent-led guided tour Mon-Fri at 9:45am. The tour includes the Rotunda for the Charters of Freedom, the Public Vaults, and a special exhibit gallery. It’s advised to reserve online in advance, but you’ll have to pay a $1.50 reservation fee. This is one of the best Holocaust museums in the world and features a large permanent exhibit that takes up three whole levels and tells the story of the Holocaust through films, photos, artifacts, and first-person stories. 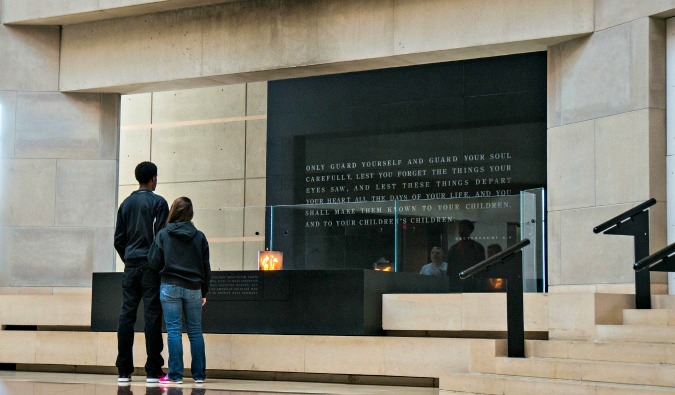 There are also rotating exhibits meant to educate visitors about the ongoing threat of genocide and violence around the world. It’s so powerful and moving. I strongly urge you to visit while you’re in the city! National Mall, just south of Independence Avenue, SW, between 14th Street and Raoul Wallenberg Place (15th Street). +1 202-488-0406, ushmm.org. Open daily 10am-5:20pm, with extended hours in the spring and summer. Because of high traffic, you will need to reserve a ticket online for visits between March 1-August 31. This area used to be a transit point for farmers selling tobacco in the 1700s. In fact, Georgetown was around before Washington, DC. While this area is known for its fantastic shopping, dining, and nightlife options, you can simply spend hours strolling through here taking in the well-preserved Georgian homes and architecture. This center is a memorial to JFK and has nine theaters and stages dedicated to music, dance, and theater, as well as international and children’s programs. There’s a free guided tour here every 10 minutes. There’s an awesome rooftop terrace with panoramic views of Washington, D.C.
2700 F St NW, +1 800-444-1324, kennedy-center.org. Tours take place Mon-Fri (10am-5pm), and Sat-Sun (10am-1pm). There is a free shuttle to the center from Foggy Bottom-GWU-Kennedy Center Metro station. Call ahead of time to make sure the tour is going ahead. 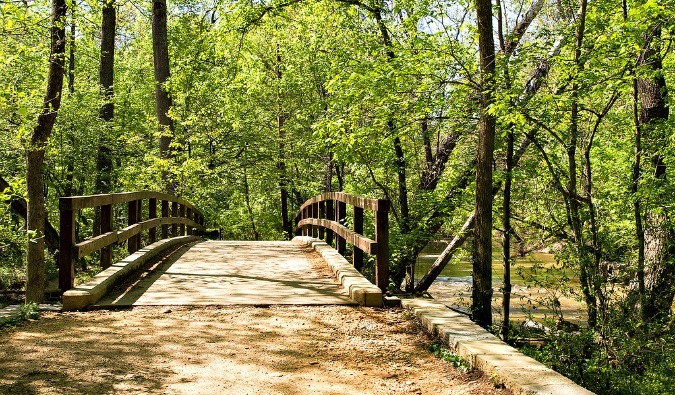 This 4.4 square mile park is a popular spot for outdoor enthusiasts, with tons of trails for hiking and biking. There are picnic areas, tennis courts, and even riding stables too! It’s an awesome place to enjoy nature in the city. 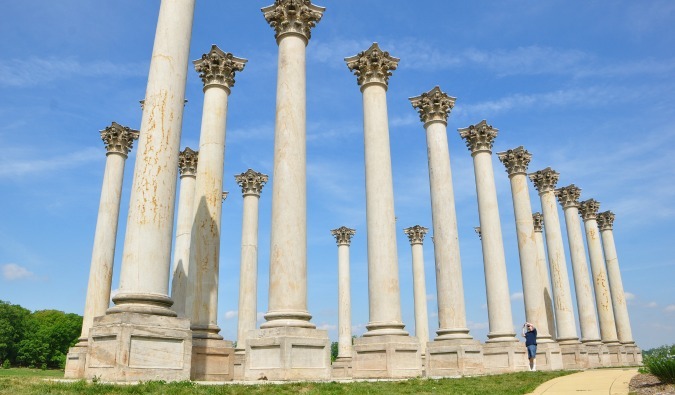 The 446-acre National Arboretum provides a quiet oasis in the middle of a busy city, and is home to the National Capitol Columns. Here, you can visit the giant historic columns that once supported the East Portico of the U.S. Capitol from 1828-1958. There are two entrances: one at 3501 New York Avenue, NE, and the other at 24th & R Streets, NE, off of Bladensburg Road. +1-202-245-2726, usna.usda.gov. Open daily 8am-5pm. Washington isn’t a cheap place to visit, but with many of the city’s activities available for free, you’ll be able to visit the city without breaking the bank. There is enough here to keep you busy for more than a few days! 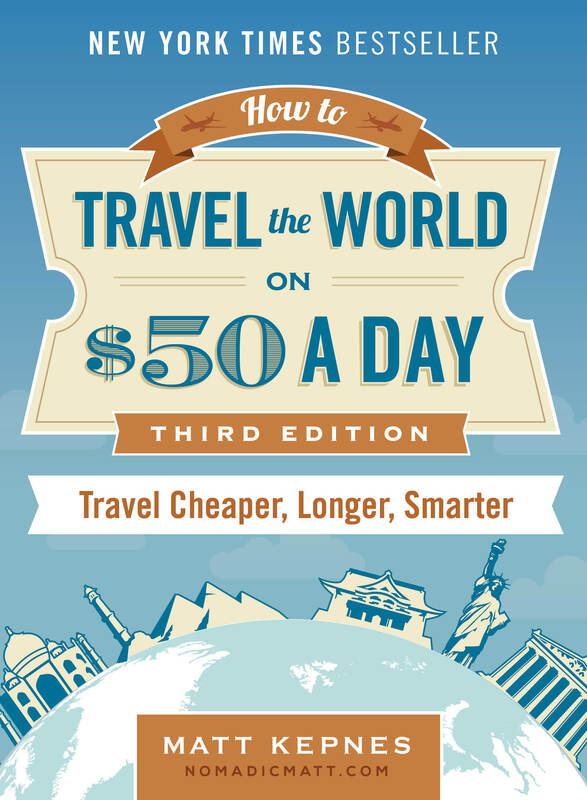 Find a cheap flight to Washington by using Skyscanner or Momondo. They are my two favorite search engines. Start with Momondo. Want More Information on Washington? 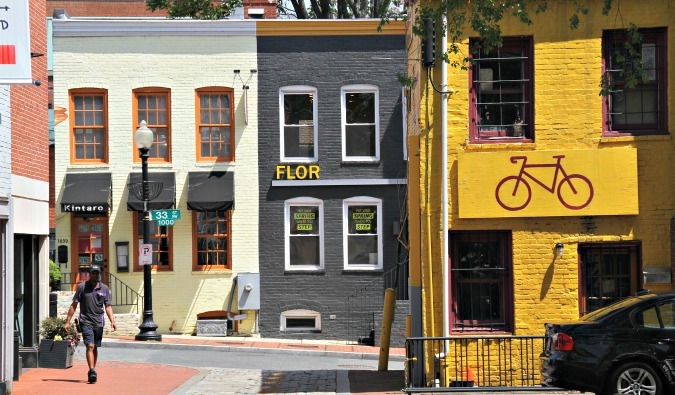 Be sure to visit our robust destination guide on Washington, D.C. for even more planning tips! Not close free – but the Segway tours are FUN. I live in the DC area and take every chance I get to take a visitor on one with me. Worth the money and I always learn a few more historical tidbits I missed the time before while racing around! I second the Udvar-Hazy Center, that place is awesome and so much more interesting than the downtown Air & Space Museum. Not totally free, though, as it is $15 to park if you’re driving (and I suppose most visitors would be doing this). A couple ways around that: If you’re just being dropped off, it is free for the driver (though they still have to pay $15 to get in, then get their money back within 30 minutes on the way out). It’s also free after 4 p.m., which would give you 1.5 hours to tour the place (not nearly enough time to take in the entire place, though). I like the FDR monument too, specifically the way water is incorporated into it as you walk through the big events in his life. Also, I’d recommend visiting the Mall and monuments at night too, if you have the time or inclination, as it offers a different experience free of crowds and summer heat. Yes I love the great museums in the D.C! And really surprised that these world-class museums are free admission! Can’t get enough of them! Too bad I was only there for 2 days. p.s: I’d love to share with you the 3 humble posts that I had done last yr on D.C. I wish I can write as well as you! 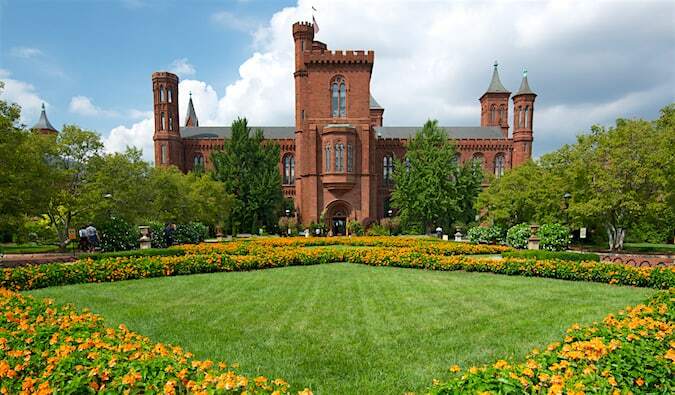 Oddly enough I’ve never been to Washington – but its always been on my list – mainly because of the Smithsonian. 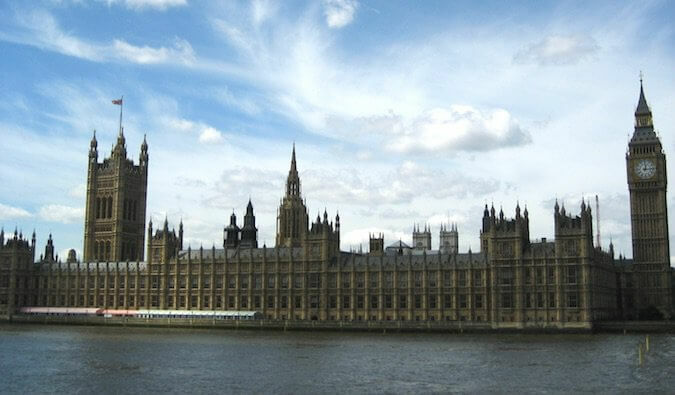 It sounds a bit like London – costs a fortune to eat and sleep but a lot of amazing free stuff. What’s the best way to get around – is there any decent public transport? If you’re there on a weekend, be sure to hit up Eastern Market. I think it’s my fav place in DC, and they just reopened the main building after a fire nearly devastated it a few years back. The Arboretum is also free and a nice place to spend a few hours. And terribly overlooked but awesome are the also free Kenilworth Aquatic Gardens. The lotus should be in bloom right now (but you have to go early before it gets too hot). They are amazingly beautiful and worth the trip. We love DC. It’s also a great city with kids. We just recently went there for spring break and I couldn’t believe how much my kids enjoyed the whole city. Love the metro system! I feel so sad hearing about the crash since we practically rode almost all the line and used the red line to the Zoo. My favorite free thing to do in DC is joining the DC by Foot tour. They are the best and it’s free (you gave them tip based on your preference). OK, so if you are in DC you have to check out the Capital Segway Tours. It is not free, and a little pricey, but it is worth EVERY penny! My husband and I chose to do this tour the second morning of our six day vacation, and I could not have been happier. It was SO MUCH FUN! It is a 2 hours tour of all the major monuments. I don’t think that we could have seen that many things in the 6 days if we had tried. We loved ever minute…and you get a guided tour! It is well worth the money! This is something everyone should do! We couldn’t stop talking about it! If you are looking for a whole site dedicated to Free Things to Do in DC then you are going to love Free in DC! It is a super resource for all kinds of free, donation based and super affordable things to do. What is great about the site is that it shows DC after dark, highlighting event especially events at night and on the weekends, that highlights life beyond the museums! I also agree with the comment above that anyone coming to DC should be sure to search the online calendar at CultureCapital.com (try the advanced search if you want to search by date range and keyword) to view events from over 300 participating arts organizations in the DC metro area and also links to TICKETPLACE.org, where you can find half price tickets to shows online and in advance. 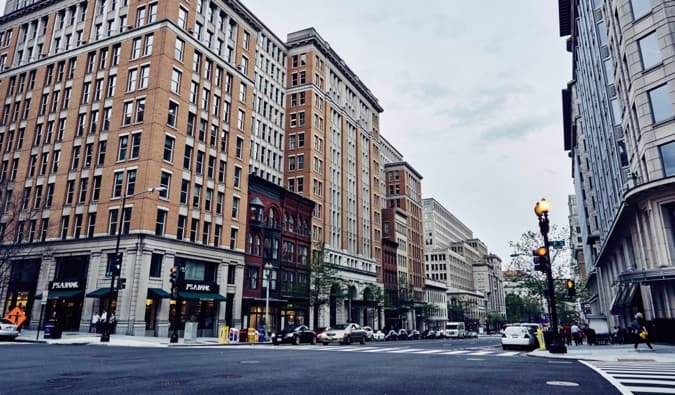 There is also a TICKETPLACE storefront on 7th St near D St, NW near Archives Navy Memorial and Gallery Place metro, where you can drop by in person to find half-price tickets to events at local theaters and arts venues. Whether or not you are Catholic, I highly recommend the Basilica of the National Shrine of the Immaculate Conception on the same grounds as The Catholic University of America (on the Red Line heading north). The numerous mosaics are amazing – both in the Upper Church and the Crypt Church. You can spend an entire day wandering around and still not see it all. Take your time. Relax. Get away from the stress of life. You can also grab lunch in their cafeteria and browse through their wonderful bookstore and gift shop. Nice photos matt! I loved D.C. when I was there in 2012. Looks like you had the same good times visiting the monuments! By the way what a nice place to visit in dear life.